Simple Yoga takes an extremely complex subject and makes it accessible to general readers. It explains what yoga is, how it evolved in ancient India, and how it can benefit the typically harried Western lifestyle. It gives practical information on the various yoga styles available in the West and offers suggestions for choosing a style and finding an appropriate teacher. A chapter on women and yoga and a basic routine for readers to try on their own are included, as well as a modified routine for the office. 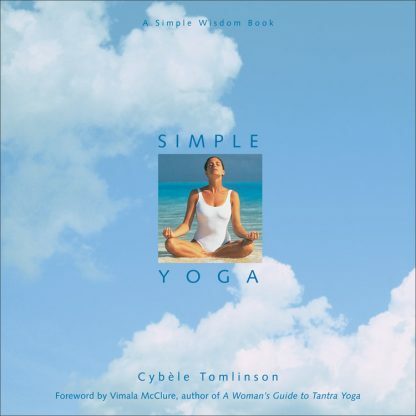 Unlike most yoga books, targeted to people already involved in the discipline, Simple Yoga is short and easy to absorb. It gives a feel for what yoga is without getting overly theoretical. A practical guide, it is particularly useful in helping readers find the style of yoga that's right for them. Cybele Tomlinson is the director of the Berkeley Yoga Center. A longtime yoga teacher and bodyworker, she also writes for Yoga Journal. She lives in Berkeley, California.